The number assigned to the ‘First Bible School at Palm Coast’ (7 Cerrudo Lane) in Flagler County is FL822, please see the attachment. Wishing you and Grandma Nancy all the best! Have a great week! If you have any further questions concerning the Florida Master Site File, please contact us as below. Pixel Dimensions: 541K, Width 496 pixels, Height 372 pixels, Resolution 62 pixels /inch, 8"x6". Reverend Otterbein House Left View; Unadulterated. Pixel Dimensions 541K, width 496 pixels, height 372 pixels, 62 pixels/in., 8"x6"
Pixel Dimensions 541pixels, width 496 pixels, height 372 pixels, Resolution: 62 pixels/in., 8"x6"
Roof: 3 tab asphalt/fiberglass, Solar Roof, Concrete Block Stucco, Alum. S.Hung Sliders/Doors. 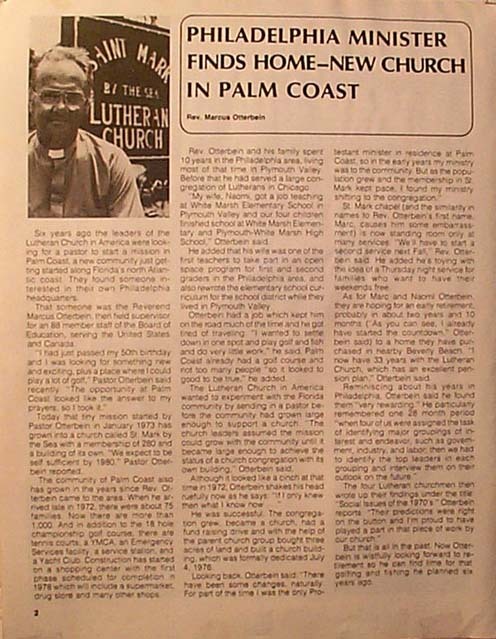 Reverend Marc Otterbeins Article from The Palm Coaster 1978 P.2. 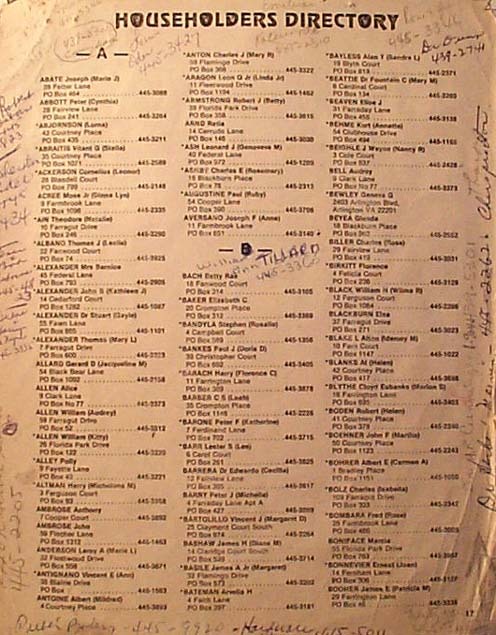 That someone was the Reverend Marcus Otterbein, then field supervisor for an 88 member staff of the Board of Education, serving the United States and Canada. "I had just passed my 50th birthday and I was looking for something new and exciting, plus a place where I could play a lot of Golf.," Pastor Otterbein said recently. "the opportunity at Palm Coast looked like the answer to my prayers, so I took it." 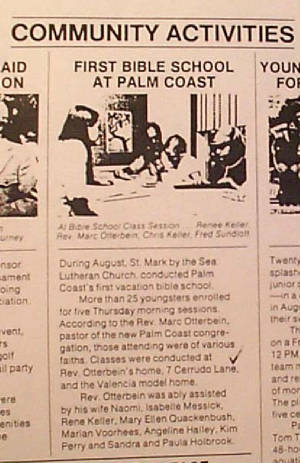 Today that tiny mission started by Pastor Otterbein in January 1973 has grown into a church called St. Mark by the Sea with a membership of 280 and a building of its own. 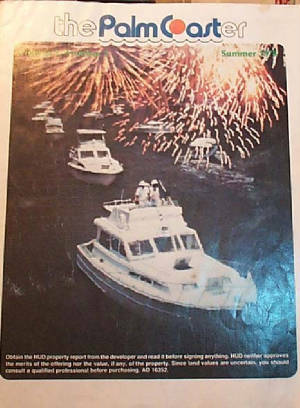 "We expect to be self sufficient by 1980," Pastor Otterbein reported. 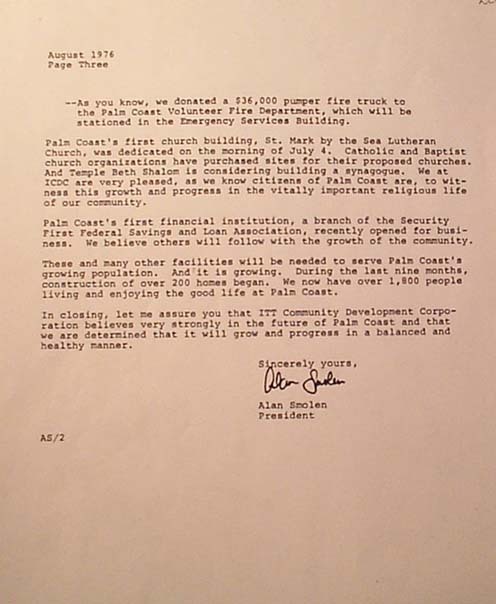 The community of Palm Coast also has grown in the years since Rev. Otterbein came to the area. When he arrived late in 1972, there were about 75 families. Now there are more than 1,000. And in addition to the 18 hole championship golf course, there are tennis courts, a YMCA, an Emergency Services facility, a service station and a Yacht Club. Construction has started on a shopping center with the first phase scheduled for completion in 1978 which will include a supermarket, drug store and many other shops. Rev. Otterbein and his family spent 10 year of that time in Plymouth Valley. Before that he had served a large congregation of Lutherans in Chicago. "My wife Naomi, got a job teaching at White Marsh Elementary School in Plymouth Valley and our four children finished school at White Marsh Elementary and Plymouth-White Marsh High School," Otterbein said. He added that his wife was one of the first teachers to take part in a open space program for first and second graders in the Philadelphia area, and also rewrote the elementary school curriculum for the school district while they lived in Plymouth Valley. Otterbein had a job which kept him on the road much of the time and he got tired of traveling. "I wanted to settle down in one spot and play golf and fish and do very little work," he said. 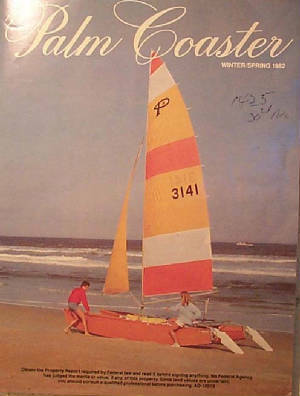 Palm Coast already had a golf course and not to many people "so it looked to good to be true," he added. 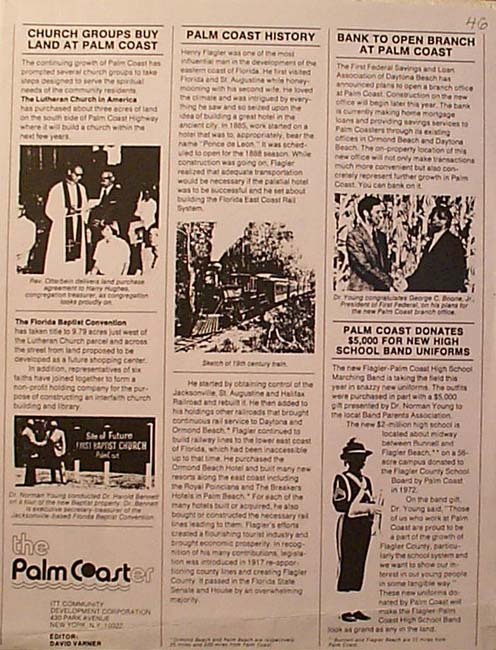 The Lutheran Church in America wanted to experiment with the Florida community by sending in a pastor before the community had grown large enough to support a church. "The church leaders assumed the mission could grow with the community until it became large enough to achieve the status of a church congregation with its own building," Otterbein said. Although it looke like a cinch at that time in 1972, Otterbein shakes his head ruefully now as he says: "if I only knew then what I now now...". He was successful. 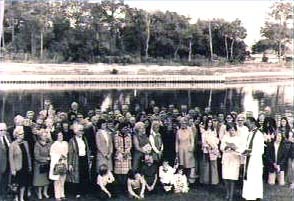 The congregation grew, became a church , had a fund raising drive and with the help of the parent church group bough three acres of land and built a church building which was formally dedicated July 4, 1978. Looking Back, Otterein said: "there have been some changes, naturally. 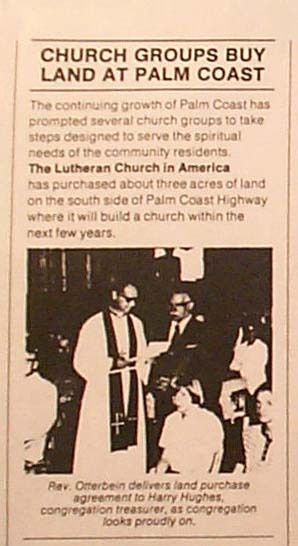 For part of the time I was the only Protestand minister in residence at Palm Coast, so in the early years my ministry was to the community. But as the population grew and the membership in St. Mark kept pace, I found my ministry shifting to the congreagation." St. Mark chapel ( and the similarity in names to Rev. Otterbein's first name, Marc, causes him some embarassment) is now standing room only at many services. "We'll have to start a second service next Fall," Fav. Otterbein said. He added he's toying with the idea of a Thursday night service for families who want to have their weekends free. As for Marc and Naomi Otterbein, they are hoping for an early retirement, probably in about two years and 10 months ("As you can see, I already have started the countdown," Otterbein said) to a home they have purchased in nearby Beverly Beach. 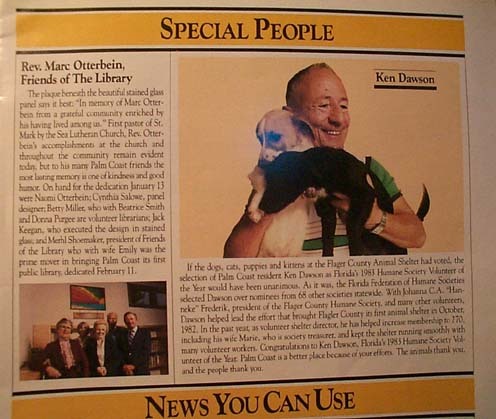 "I now have 33 years with the Lutheran Church, which has an excellent pension play," Otterbein said. Reminiscing about his years in Philadelphia, Otterbein said he found them "Very rewarding." He particularly remembered one 28 month period "when four of us were assigned the task of identifying major groupings of interest and endeavor, such s government, industry, and labor, then we had to identify the top leaders in each grouping and interview them on their outlook on the future." 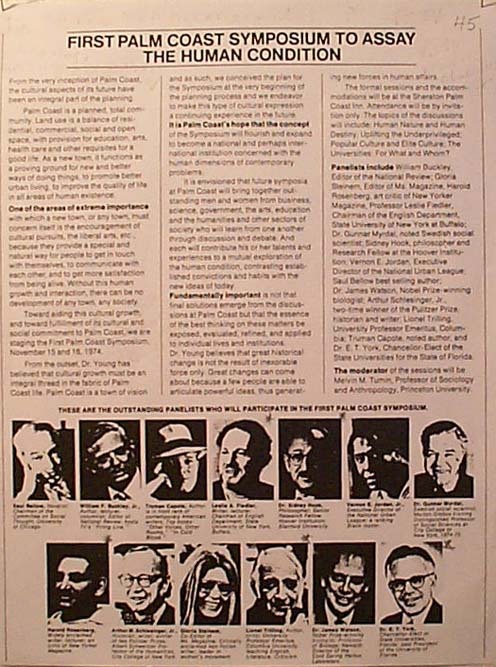 The four Lutheran churchmen then wrote up their findings under the title" "socialIssues of the 1970's." Otterbein reports. "Their predictions were right on the button and I'm proud to have played a part in that piece of work by our church." But that is all in the past. Now Otterbein is wistfuly looking forward to retirement so he can find time for that golfing and fishing he planned six years ago. Reverend Marc Otterbein on the extreme right for the Dedication. "..In Memory of Marc Otterbein from a grateful community enriched by his having lived among us...."
This Memorial Panel was designed by Jack Keegan. 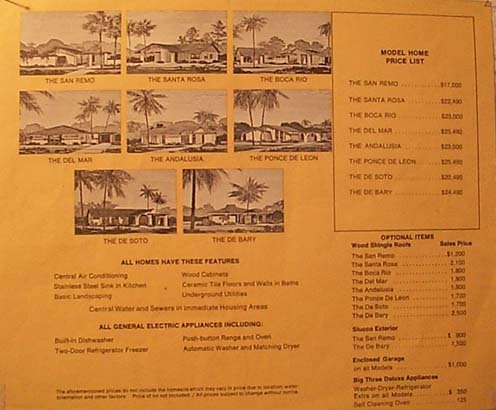 Model Homes at the 'Exhibit Area' Price List from 1973, Note the San Marco Model was't offered then. 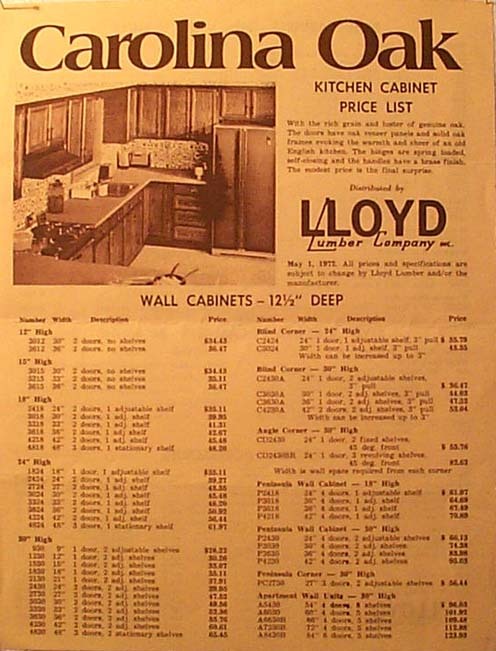 Lloyd Lumber Company was the vendor for the Kitchen, Utility, Baths, and Garage Cabinets . 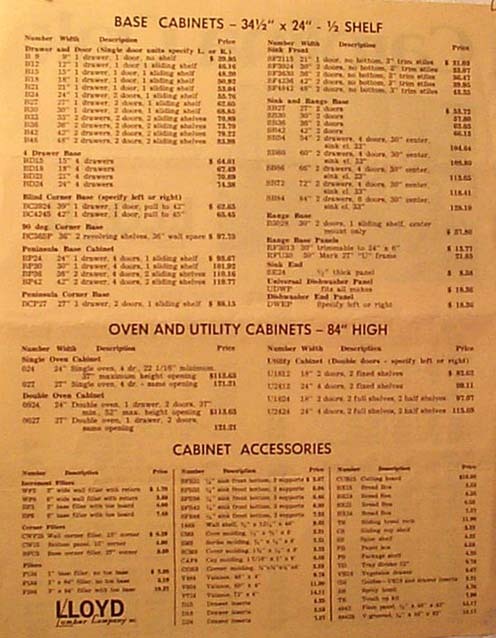 Lloyds Lumber Company for Kitchen, Bath, Utility, and Garage Cabinets. 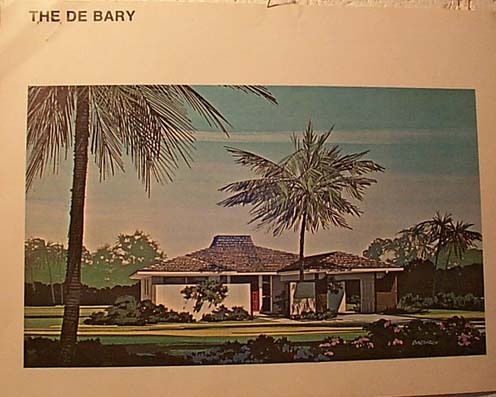 Country Club Cove PALM COAST Section 3, (Map Book 6 Pages 4,5,6,7, and 8). 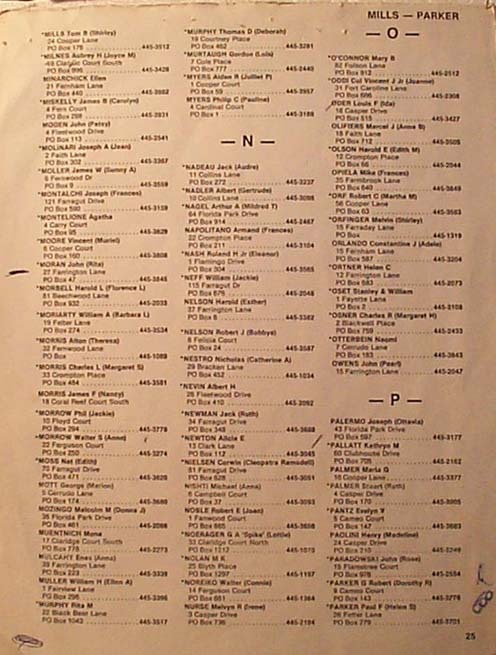 One of the first Householders Directory, we were first listed in Volusia Exchange from pp.17-30. When St. Marks Church was completed. St. Marks by the Sea Lutheran Church was dedicated the morning of July 4, 1976. Seller may retain Title and possession of property until all promised Improvements have been completed and warranty deed delivered. Cost to Purchaser for Connection to Central Sewerage, when available, is presently estimated at $500. Notice and Disclaimer by Office of Interstate Land Sales Registration, U.S. Department of Housing and Urban Development." 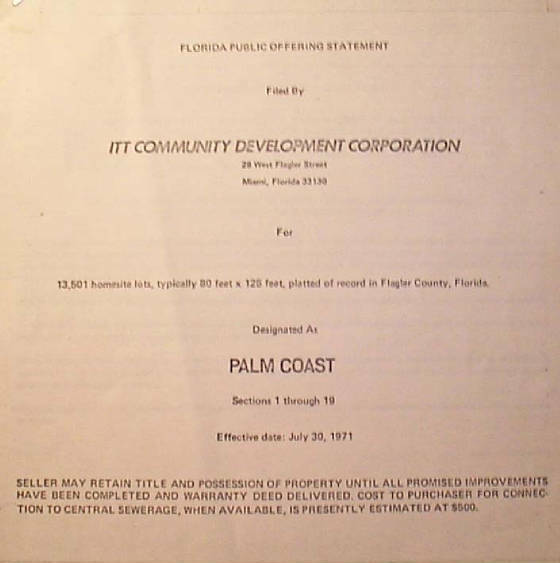 "This report is not a recommendation of endorsement of the offerings herein by the Office of Interstate Land Sales Registration, nor has that Office made an inspection of the property nor passed upon the accuracy or adequacy of this report or of any promotional or adverttising materials used by the seller. Information contained herein has been filed with the State of Florida in the Office of Interstate Land Sales Registration. It is in the interest of the buyer to inspect the lot and to read all contact documents before signing this contract to purchase or lease. Prospective buyers and lessees are notified that unless they have received this property report prior to, or at the same time they enter into a contract, they may void the contract by notice to the seller. 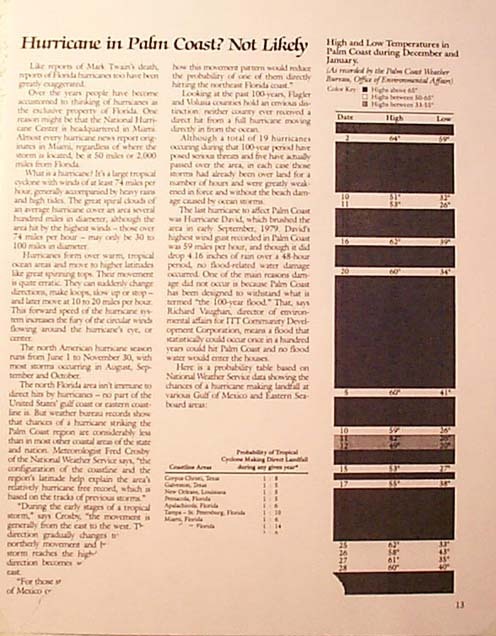 Unless a buyer or lessee acknowledges in writing that he has read this report and personally inspected the lot prior to signing his contact, he may revoke his contract within 48 hours from signing his contact, if he has received the property report less than 48 hours prior to signing such contract. Although a statement of record has been filed with the Office of Interstate Land Sales Registration, the filing has not been examined or verified." 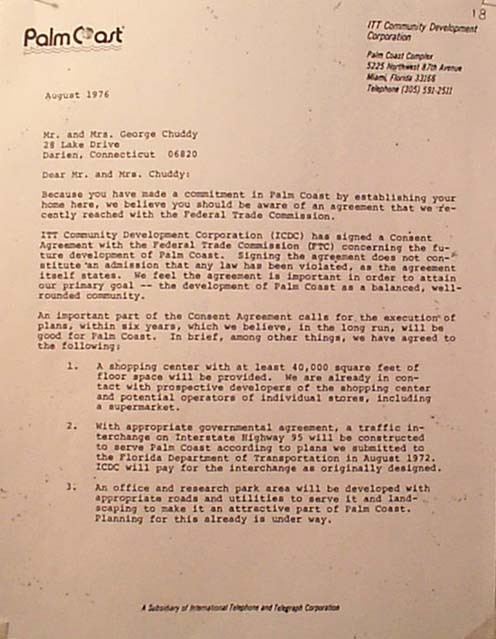 Palm Coast is being developed by ITT Community Development Corporation ("the Cmpany") . The propertyis located in Flagler County, Floirda, less than one miles east of Interstate Highway 95, less than five miles east of U.S. Highway 1, and less than two miles west of State Road A1A, all of which run in a generally north-south direction. 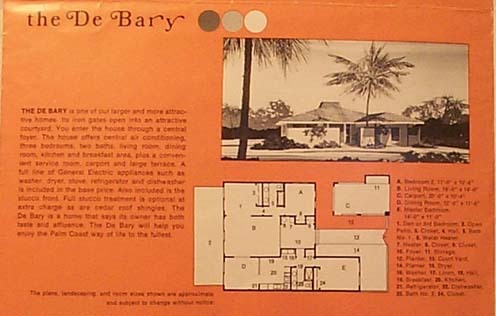 It is adjacent to boeh St. Joe Road and Palm Coast Parkway, which run in a generally east-west direction. It is located six miles northwest of Flagler Beach ( Population 1,000) and 11 miles northeast of Bunnell (Population: 1,900) . St. Augustine is 27 miles to the north on State Road A1A and U.S. Highway 1 and has a population of 12,000; Daytona Beach is 24 miles to the south on State Road A1A and U.S. Highway 1 and has a population of 45,000. 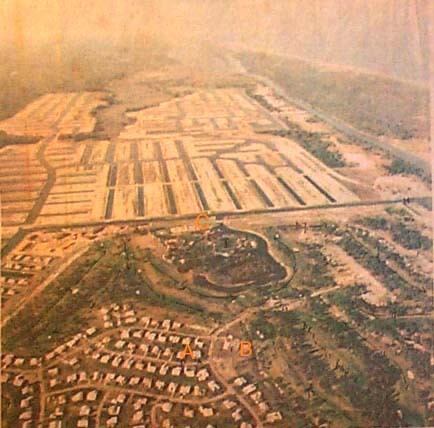 Palm Coast, Sections 1 - 19 , consists of 13,501 homesite lots, typically 80 feet x 125 feet. 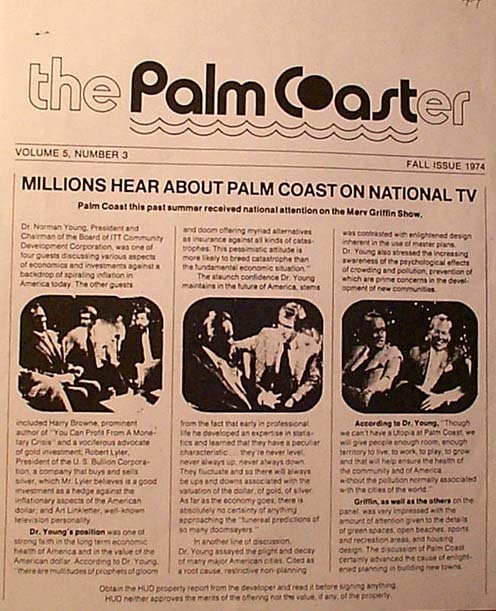 Palm Coast is the first development of the Company. The Company plans to develop 20,000 acres in Palm Coast at present and may develop substantial additional acreage of contiguous lands held within the ITT system. There are no mortages encumbering this property. 1. 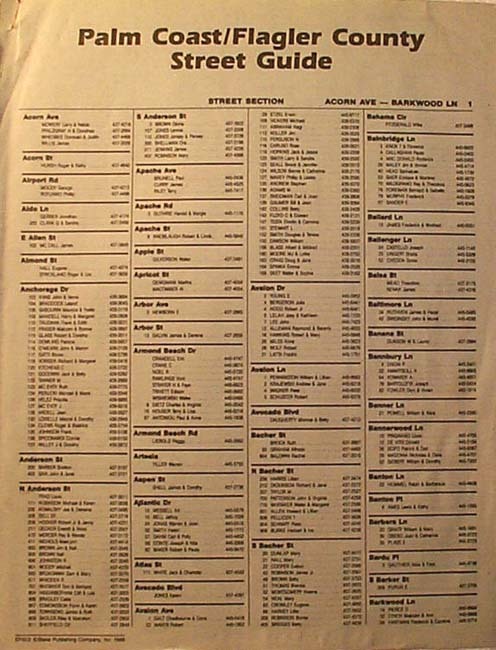 Public streets and easement for drainage and utilities including community antenna television facilities. 2. 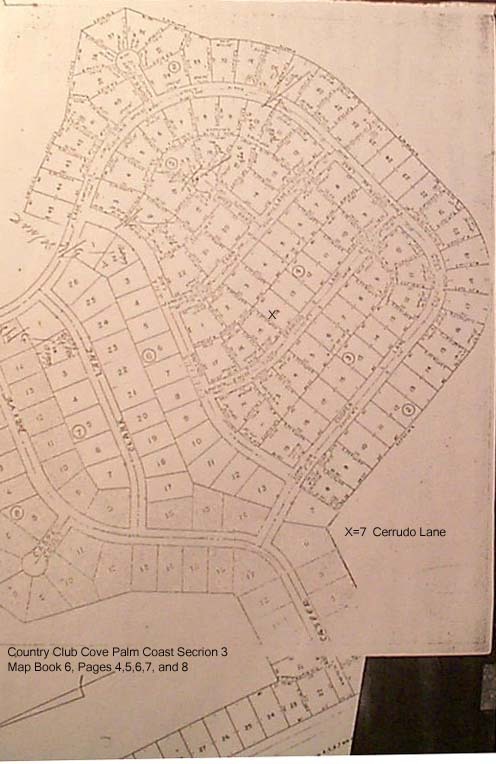 Covenants and restriction imposed to limit use of the homesites to residential purposes, to create setback lines, and size requirements, to regulate the use of canals and waterways, to create an architectural control committee and to establish other standards and requirements which are customary for the preservation and maintenance of the residential character of the property being offered. 3. The right of ITT Rayonier, Inc. to harvest merchantable timber on the properties, including plantation timber, until such time as deeds are delievered to purchasers, after which such time rights shall cease. 4. Any applicable ordinances, regulations and statues. 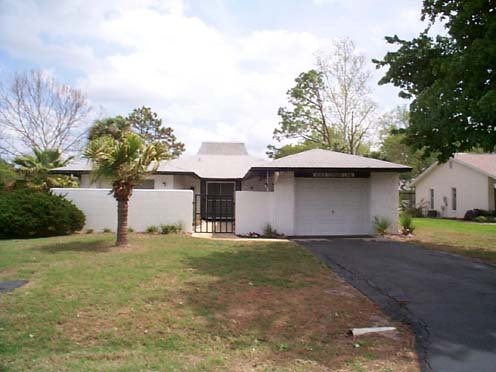 Access to the property is from Interstate Highway 95 to State Route 100 and then Old Kings Road to Palm Coast Parkway. Access to homesites will be over hard - surfaced streets. The Property is being offered for use as residential homestites. 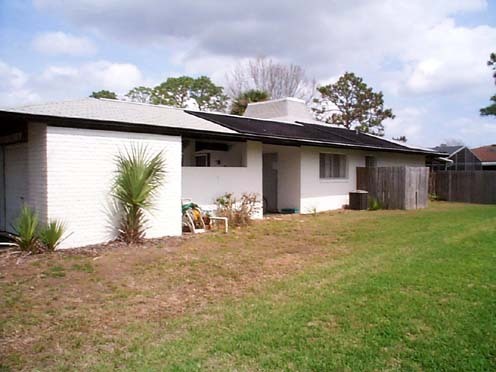 Certain areas of the property have been set aside for multi-family use, and these have been so noted in the Covenants and Retriction recorded in Flagler County. The topography is generally flat; the elevation varies from four to forty feet above sea level. The soil is sandy and supports a growth of pine, oaks, palm and cypress. During wet weather the property does require drainage, provision for which has been made by the Company. Nominal fill may be required for home contruction. There is presently no zoning ordinance in Flagler County. 1. Fire Protection- The Florida Forestry Service, located seven miles away from the property, makes its equipment available for fire suppression. 2. Police - Police protection for Palm Coast is provided by the Flagler County Fheriff's Department, 11 miles distant. 3. Shopping - There is a neighborhood shopping center in Flagler Beach, six miles from the property' the nearest regional shopping center is in Daytona Beach, 27 miles, distant. The Company has set aside certain properties which may be used for neighborhood shopping facilities as the need develops, but the Company is under no obligation to construct or operate any commercial properties including neighborhood shopping favilities. 4. Schools- Bunnell Elementary School is 10 miles southwest of the property. Flagler Beach Elementary School is six miles southeast of the property. Bunnell High School is 10 miles southwest of the property,. Daytona Beach Jr. College is 30 miles south of the property. St. Johns River Jr. College is in Palatka, 27 miles northwest of the property. Bethune Cookman College and Embry-Riddle Aeronautical Univversity are in Daytona Beach, 27 miles south of the property. Flagler College is in St. Augustine, 27 miles north of the property. Stetson University is in DeLand, 38 miles wouthwest of the property. Jacksonville University is 71 miles northwest of the property. The University of Florida is in Gainesville, 73 miles northwest of the property. County school bus service is available for school children who reside outside a two mile radius of Bunnel Elementary, Flagler Beach Elementary and Bunnell High Schools. 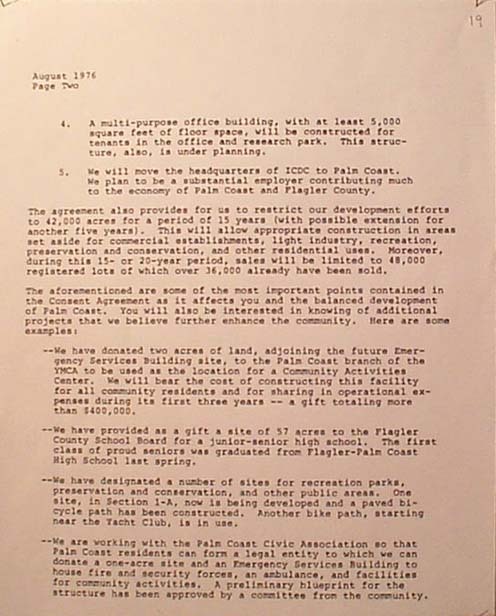 Certain sites at Palm Coast have been reserved by the Company for schools and will be made available upon terms and conditions to be determined if, in the opinion of the appropriate governmental officials, the population of Palm Coast so warrants. The Company is under no obligation to construct schools in these reserved parcels. 5. Hospitals - fully accredited and equipped hospitals are within a 30 mile radium. They are: The Halifax District ( 600 beds), Ormond Beach Memorial (100 beds), Daytona General (80) beds, and Bunnell General (35) beds. 6. Churches - All major denominations are located within 23 miles of the property. Baptist, Catholic, Episcopal and Methodist churches are within 10 miles. 7. Recreation - A golf course and club house have been constructed at Palm Coast and nine holes are presently ready for play. 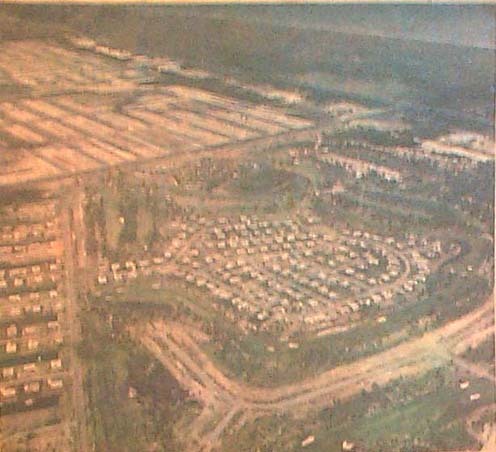 The Company proposes to construct a Yacht Club and Marina, which shall include tennis courts and swimming facilities. Tennis courts have already been constructed. 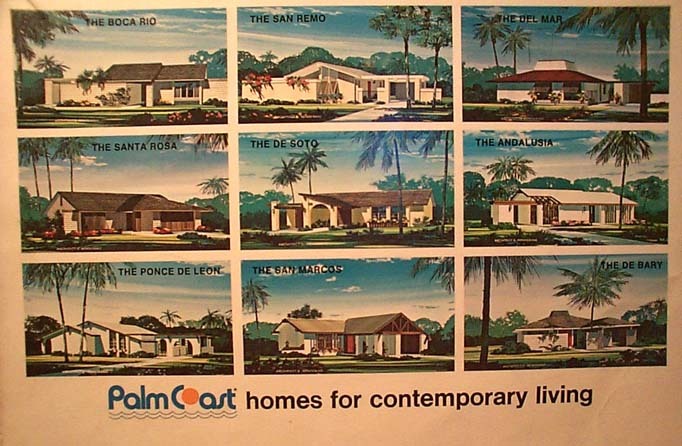 All of these failities are within five miles of the property and will be completed by December 31, 1972. Membership costs and use fees will be established. Fishing , both fresh and salt water, is available within ten miles. Streets and Drainage - The Company will construct paved streets and drainage facilities in accordance with specifications accepted by Flagler County. the date for completion of the streets and drainage facilities in a particular section will be the Improvement Completion Date as set forth in the Homesite Purchase Agreement. The streets have been dedicated to Flagler County. Streets have a least an 18 to 20 foot driving surface over a 50 foot right of way. Water - Atlantis Development Corporation , a wholly owned subsidiary of the Company, will construct, operate and maintain a water supply system. The date of which potable water will be supplied to any particular secdtion will be the Improvement Completion Date as set forth in the Homesite Purchase Agreement. 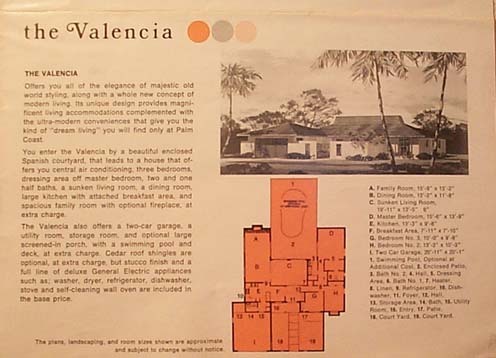 All buildings must be connected by the purchaser to the central water system within 90 days after such system becomes available to the purchaser's property, as provided in the Covenants and Restrictions heretofore recorded in Flagler County, Florida. Thee Covenants also provide for a connection fee presently estimated to be $50.00, based upon current construction costs. The connection fee is payable on the date the system is connected to the building. Sewage: Atlantis Development Corporation, a wholly owned subsidiary of the Compnay, will construct, operate and maintain a waste collection and treatment system. In Section 1, palm Coast. The Company makes no representation as to the extension of the central sewer system to any other areas of Palm Coast. The Company intends, however, to extend the central sewage facilities to one or more additional areas of Palm Coast, when and as the same becomes economically feasible. When and if a central sewer system becomes available to a lot, the purchaser is required to connect any buildings within 90 days thereafter, as provided in the Covenants and Restrictions. The Covenants also provide that the lot owner shall pay a connection fee on the date that the central sewer system is made available to his lot, whether or not a connection is actually made at that time to the central system, or at the time the Company conveys title to the lot, whichever date occurs later. The connection fee is presently estimated to be $ 500.00 for each lot based upon current construction costs, or for each two units in areas where multi-unit structures are permitted. 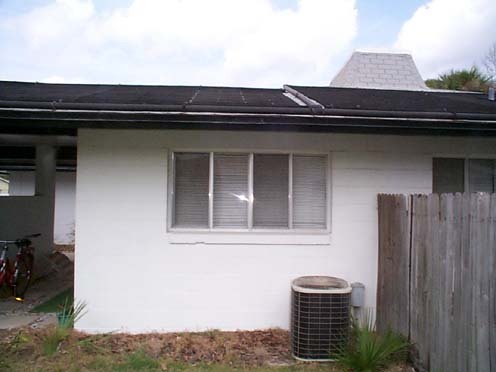 Until such time as the central sewer system is made available to a purchasers lot, owners of homesites will be required to install their own septic tanks and related drain field for sewage disposal, subject to the requirements of and approval by the Bureau of Sanitary Engineering of the Division of Health, Department of Health and Rehabilitative Services of the State of Florida. 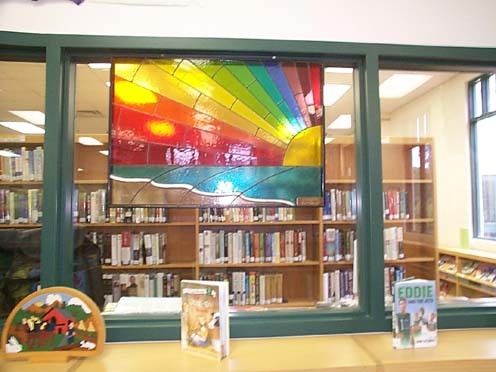 The current approximate cost for such installation is $ 350.00. If and when the central sewer system is available to the purchasers lot, no septic tanks or other individual or privately owned sewage disposal system shall be installed or permitted to be used. If a purchaser intends construction of a home prior to the availability of central sewage facilities and the governmental authorities will not permit installation of a septic tank, the Company will exchange his property for another at the then same selling price in an area where such sewage disposal is available or septic tanks are permitted. Canals - The Company intends to construcd all canals by the Improvement Compeltion Date as set forth in the Homesite Purchase Agreement. In addition, the Company has made provision for bulkheading along the main canals, where in its opinion, such bulkheading is advisable. The Company makes no representations as to maintance of the canals or of the bulkheads. The canals are to be a minimum of 60 feet wide and 8 feet indepth. Lakes and waterways in Section 1, 11, 12, and 13 will not have access to the Intracoastal Wateraay. Fentress Cove in Section 1 does not have access to the lakes in said section. Waterways in Section 13 will not have access to those in Sections 11 and 12. Canals and waterways in Section 19 will not have access to the Intracoastal Waterway and may not have access to waterways in any other sections of Palm Coast. Individual Surveys - The lots being offered, although platted of record, are not individually surveyed or staked. Surveys obtained by the lot owner at a cost presently estimated to be between $ 50.00 and $ 75.00 , inclusive of staking. The Florida Power and Light Company will provide electric service. A $ 20.00 deposit is presently required. Southern Bell Telephone and Telegraph Company will provide telephone service. 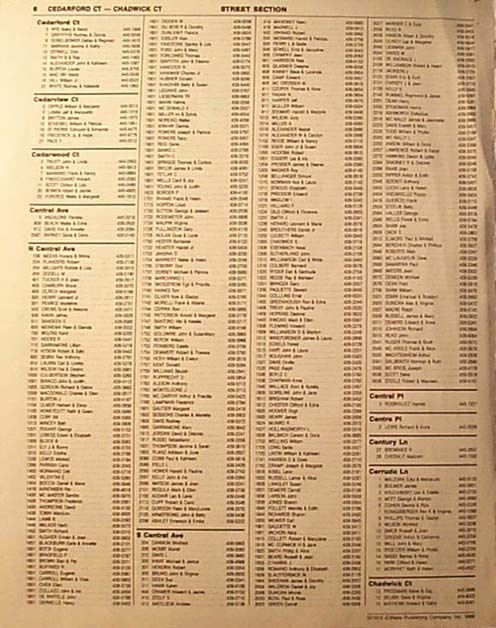 The minimum connection charge for telephone is presently $ 11.00. Bottled gas is available from independent suppliers. This is a new subdivision and at this time no homes, other than model homes, have been constructed onthis property offered for sale. 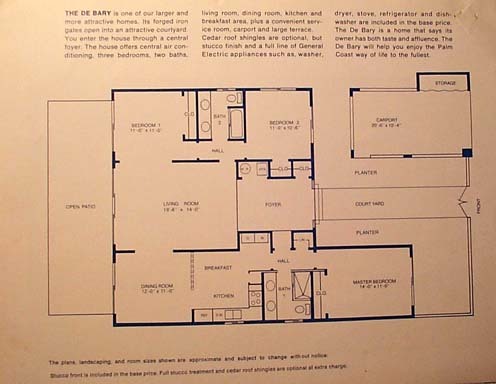 Homes are now under construction and initial occupancy is anticipated in March, 1972. 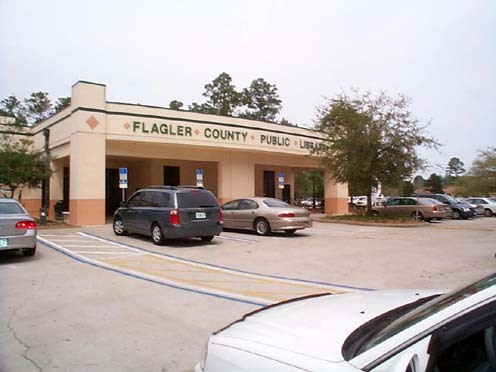 The Board of County Commissioners of Flagler County, located in Bunnell, Florida, is the governmental entity having jurisdiction. Lots may be purchased for cash or on an installment basis. Purchasers receive a Warranty Deed upon completion of payments or on the Improvement Completion Date, whichever is later. Interest is charged on the outstanding contract balance, which will vary from 6 1/2 to 7 1/2 per cent per annum, depending upon the amount of the purchaser's down payment. Although prepayment may be made without penalty, it will not accelerate delivery of the property before the Improvement Completion Date. Provided that all payments under the Homesite Purchase Agreement are current and purchaser is not in default, the Company will exchange the purchaser's property for another available property of equal price, as determined by the then current selling price, or will accept such property in trade, toward the purchase of another available property having a higher price, as determined by the then current selling price. This Exchange Privilege may be exercised at any time prior to the recording of Purchaser's Deed. Purchaser will receive credit for monies paid on account of principal pursuant to the exchanged Agreement. 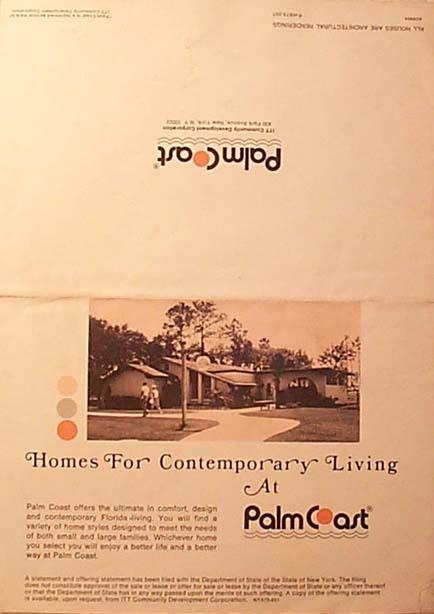 Provided that all payments under the Homesite Purchase Agreement are current and purchaser is not in default, the Company will refund to purchaser all monies paid pursuant to that Agreement, purchaser completes a guided tour at Palm Coast and immediately thereafter so requests in writing on forms provided by the Company. The refund form must be executed immediately by purchaser (or by each purchaser, if applicable ) upon completion of the guided tour. The Refund Privilege is personal to purchaser and cannot be exercised by any agents on behalf of purchaser. The Refund Privilege may not be exercised by any assignees of purchaser nor is it applicable to Homesite Purchase Agreements executed by Purchaser at Palm Coast. 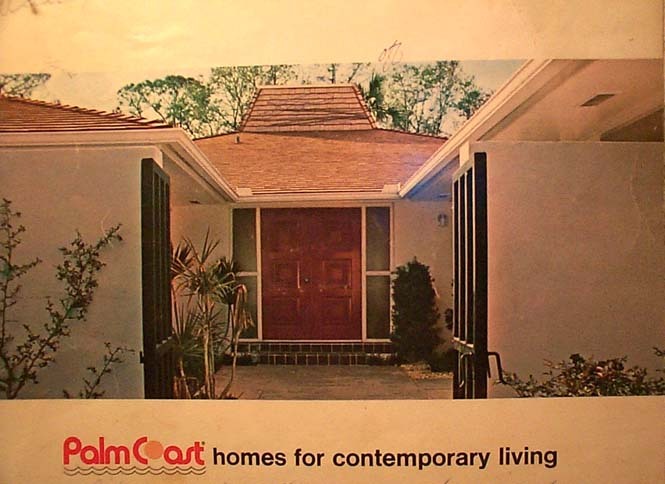 The property is offered by direct sale at palm Coast and elsewhere through the Company's own sales organization and through registered real estate brokers. The Company utilizes all advertising media, telephone, Company-sponsored parties and home presentations, and the mails. THE PURCHASERS SHOULD ASCERTAIN FOR HIMSELF THAT THE PROPERTY OFFERED MEETS HIS PERSONAL REQUIREMENTS AND EXPECTATIONS. MISUNDERSTANDINGS AS TO THE DESIRABILITY OF THE NATURE OF THE PROPERTY OFFERED OR THE TERMS OF THE CONTRACT. BE SURE AND READ YOUR CONTRACT BEFORE YOU SIGN. THE SUBDIVIDER IS REQUIRED TO GIVE YOU AN OPPORTUNITY TO READ THIS OFFERING STATEMENT BEFORE YOU ENTER INTO A PURCHASE AGREEMENT. DO NOT SIGN UNLESS YOU HAVE READ THIS OFFERING STATEMENT. SELLER MAY RETAIN TITLE AND POSSESSION OF PROPERTY UNTIL ALL PROMISED IMPROVEMENTS HAVE BEEN COMPLETED AND WARRANTY DEED DELIVERED. COST TO PURCHASER FOR CONNECTION TO CENTRAL SEWERAGE, WHEN AVAILABLE IS PRESENTLY ESTIMATED AT $ 500.00. Signature Card was attached below. 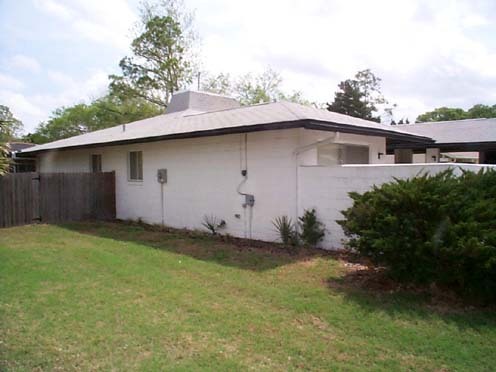 7 Cerrudo Lane is in the Original Core First Neighborhood that was Designed and Engineered. 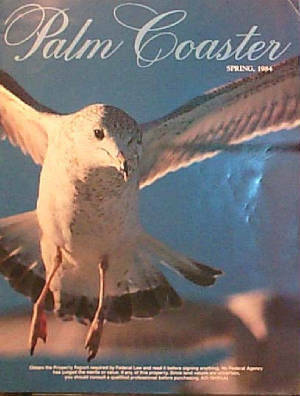 Palm Coast has been designed to withstand what is known as the '...100 Year Flood...'.